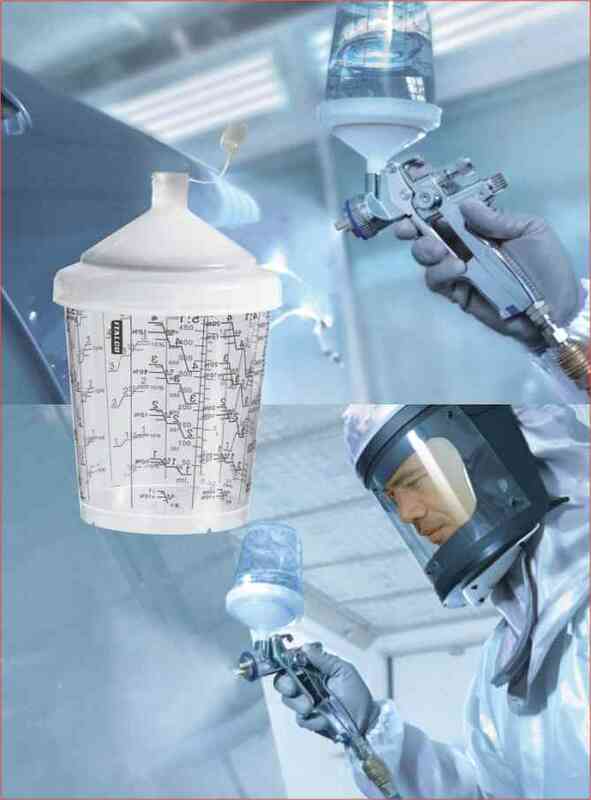 ITALCO RPC (Rapid Preparation System) is the cup system for bodyshops emphasising perfect painting finishes and high efficiency. ITALCO RPC facilitates the painters’ work, significantly enhances the bodyshops’ productivity and critically reduces the use of cleaning agents and solvents. Learn more about the specific features of ITALCO RPC and the advantages you will have! ITALCO paint spray guns are equipped with very short material passages without any needless rough edges. This feature prevents material deposits in the paint spray gun and allows easy and thorough cleaning. These advantages remain completely unchanged with the use of RPC as it is the only cup system that fits directly on your ITALCO paint spray gun without adapter. By combining ITALCO RPC and ITALCO paint spray guns, you will have the best possible basis for top quality paint jobs. Furthermore, with the use of RPC, your ITALC paint spray gun remains its low centre of gravity and thus remains perfectly balanced. Even the extremely low weight of RPC contributes to fatigue-free work. RPC is based on the reliable flow cup principle. The continuous cup ventilation via the anti-drip device ensures a steady material flow – a basic condition for high colour match precision. 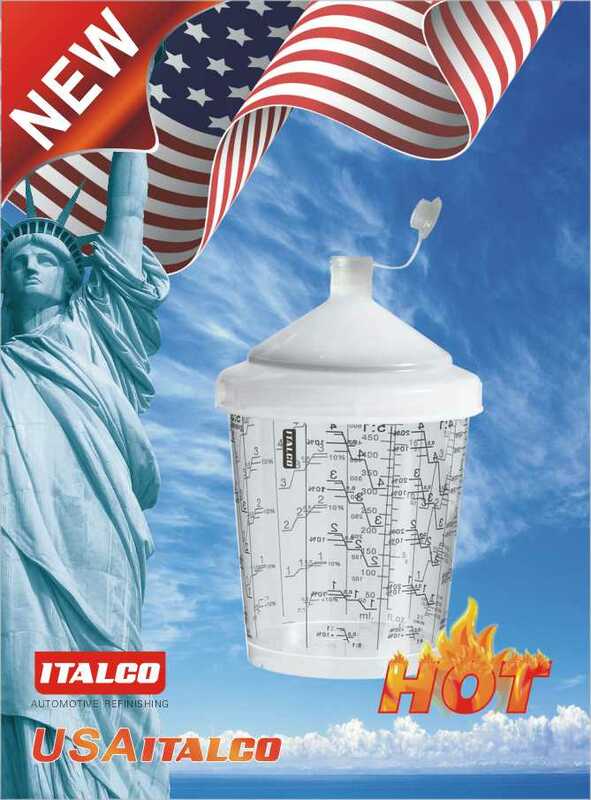 ITALCO RPC is available in three cup sizes, namely 0.3l, 0.6l and 0.9l. 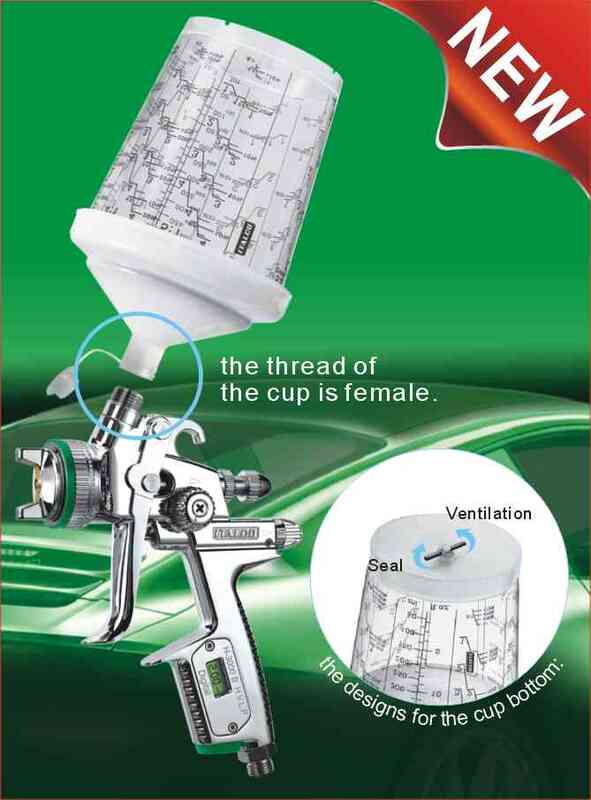 The cleaning of the cup is not necessary with ITALCO RPC, thus saving time, cleaning agents and cost. Perfect colour match and perfect paint jobs reduce time and cost intensive rework. And the very few components additionally facilitate the entire work process - simplicity pays.